Unsurprisingly, the Romans took a practical approach to armor, preferring to use what worked, in favor of what looked good. Thus, even royal guards could be seen wearing a helmet like the Imperial Italic Guard Helm with Blond Plume. 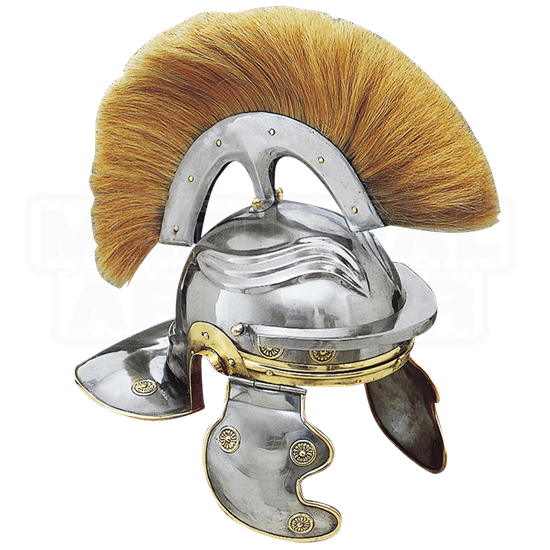 In many ways, the only difference between a guards helmet like this one and a typical roman troopers helmet would have been the colored plume on the top, which signifies a difference in position. Like the classic roman troopers helm, this helmet features a tail in the back to protect the back of the neck, while the front features a short visor as well as hinged facial protectors. The sides of the helmet are left open so that the helmets wearer can easily hear while wearing the helmet. Adorning the top of the helmet is a blond-haired crest that runs from the front of the helmet to the back. The helmet is made from quality metals and features subtle brass adornments along the rim and facial protectors of the helm. 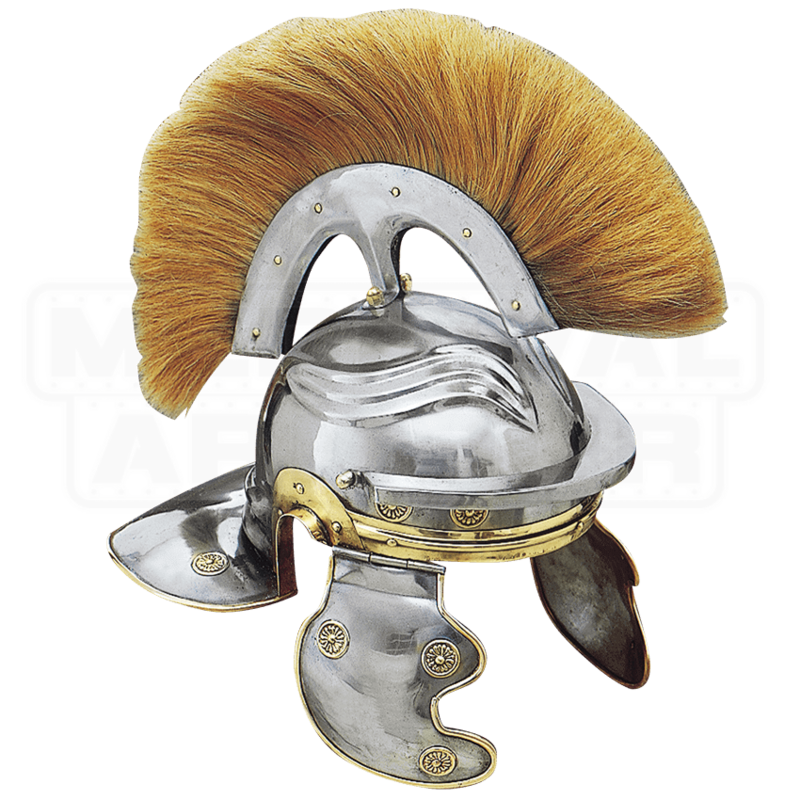 Whether you are a collector looking for a classic Roman helmet to add to your collection or a reenactor looking for a helmet that would look perfect a guard protecting even the Caesar himself, the Imperial Italic Guard Helm with Blond Plume will fill either need with ease.